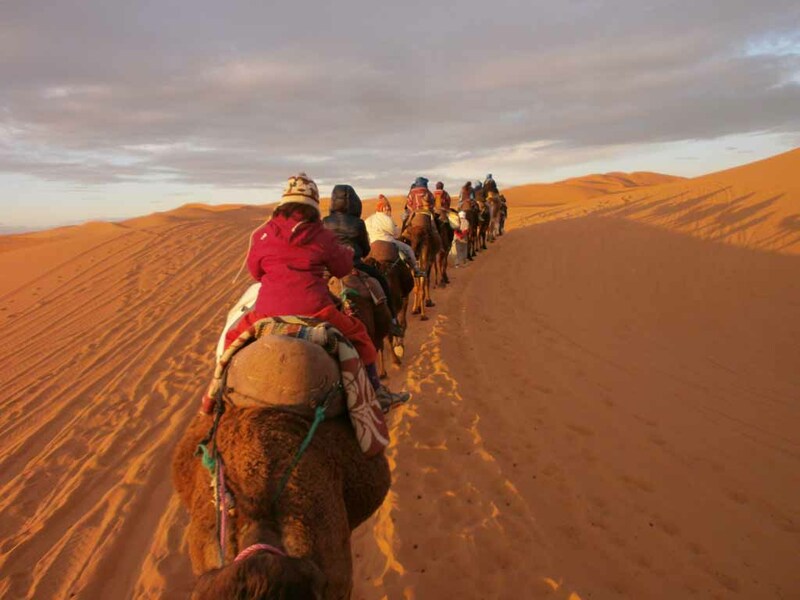 This tour offers you the chance to live the desert experience and in a very short amount of time but while keeping all the luxuries anyone can get. 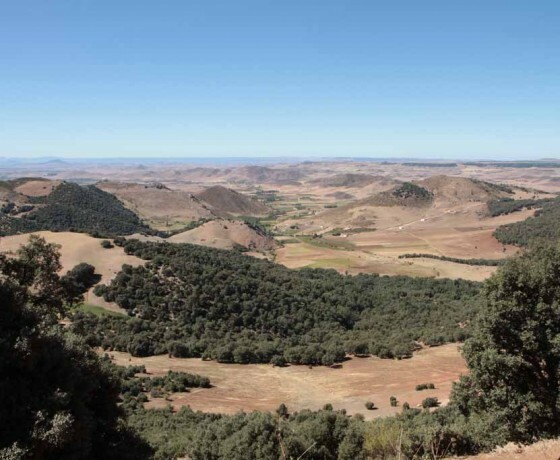 We start our desert tour 2 days from Fez and we always suggest that the pickup should be done the earliest possible so you can get the most out of this trip. 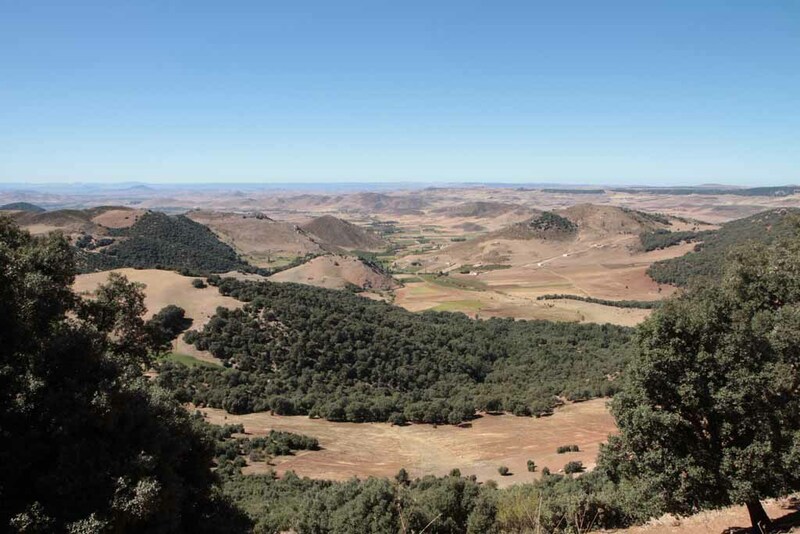 Your desert journey starts from Fes where your multi languages driver will meet up with you then through the Middle Atlas he will drive you so you can breathe in all the splendors this road has to offer. 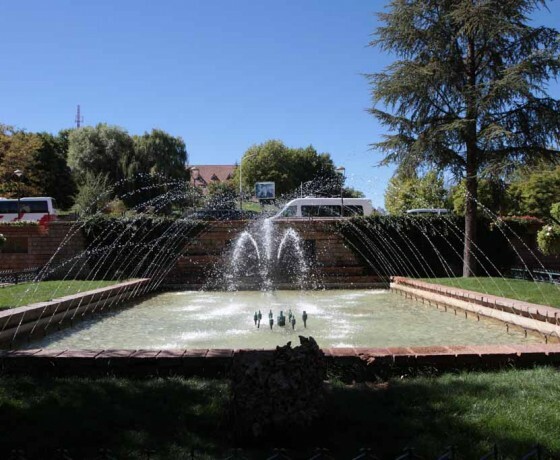 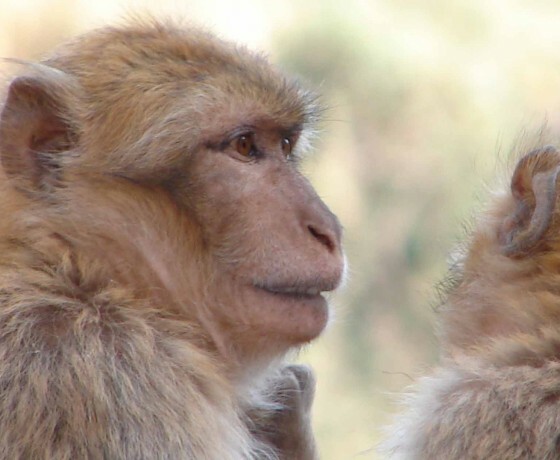 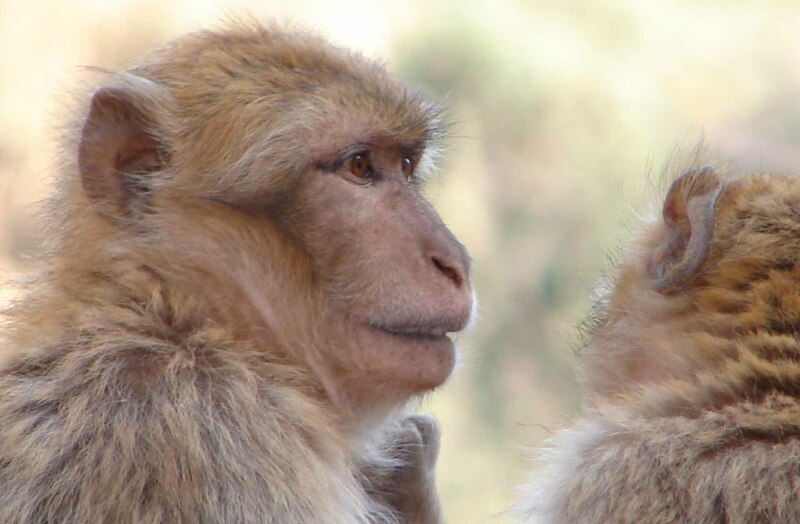 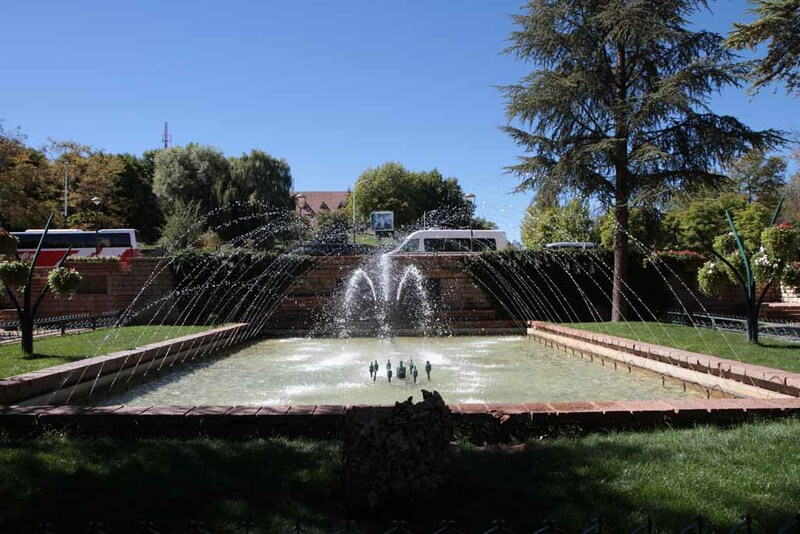 You will be passing by Ifran or the Moroccan Switzerland then you will cross the forest or the house of the monkeys before we continue to Midelt where we will be stopping by for lunch. 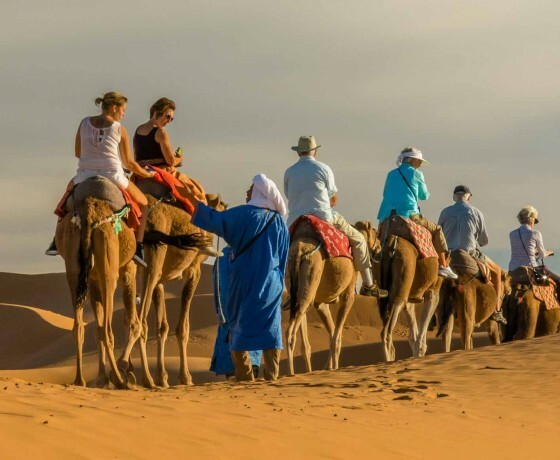 After lunch we will head to Merzouga where you will find your local guide waiting for you to take you on a camel trekking while enjoying a marvelous sunset to the nomad tents where you will be spending the night under the countless stars. 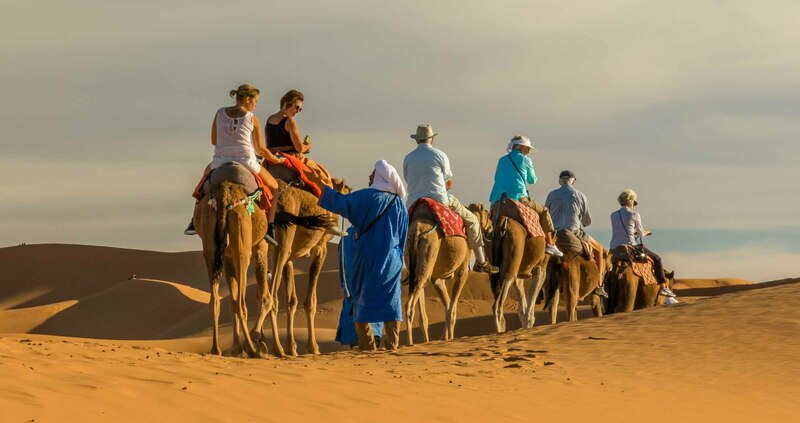 We suggest you to wake up earlier that day so you can get the chance to enjoy one stunning sunrise over the magnificent dunes of Merzouga desert before we start heading back to Fes. 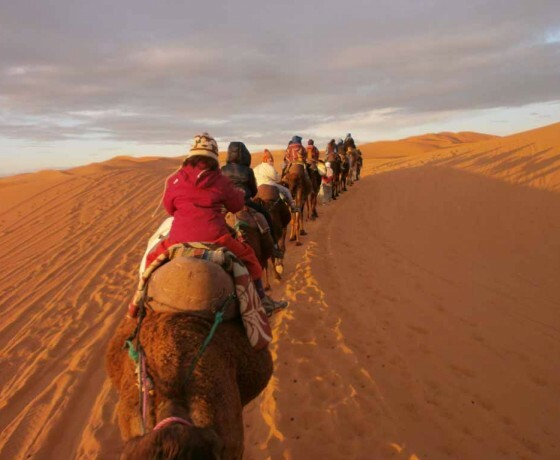 We will make sure to keep this trip just as exciting as it is so your driver will be stopping by Rissani and some small villages that will take your breath away before ending the desert tour 2 days.